Looking to stress proof your business and life AA Accountants can help. Let’s face it; life is stressful. When you own and run a business, these stresses tend to be magnified. It’s evident that they are being magnified further as the current economic situation deteriorates. 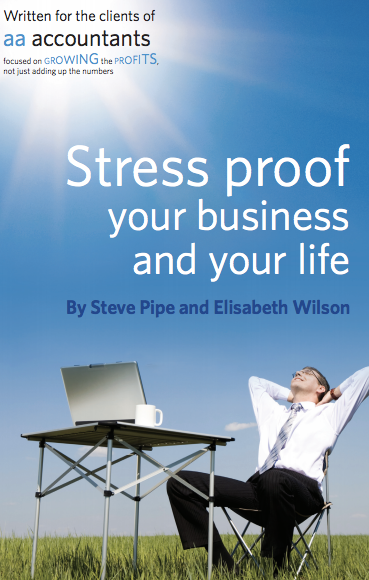 So in this book, we’ll look at what you can do to reduce your stress levels. There are 150 pages of practical advice. It’s straightforward to implement. It’ll improve your life for the better. You’ll be less stressed, more relaxed and much happier. And that’s the aim of this book. Shaz is an enthusiastic mentor with a genuine desire to help others make the most of their potential. He demonstrates a priority interest in his clients and their business beyond simply doing the normal accountancy bit with the numbers.